Apollo Earth Productions’ “LightBox” is a graphical display solution for shops, shop windows, windows and interiors. The system including stands, illuminated signs and all related photography or printing. An impactful store-front display product that will enhance your sales from day one. Ask us for a quote today! Tell your story with video and photography. 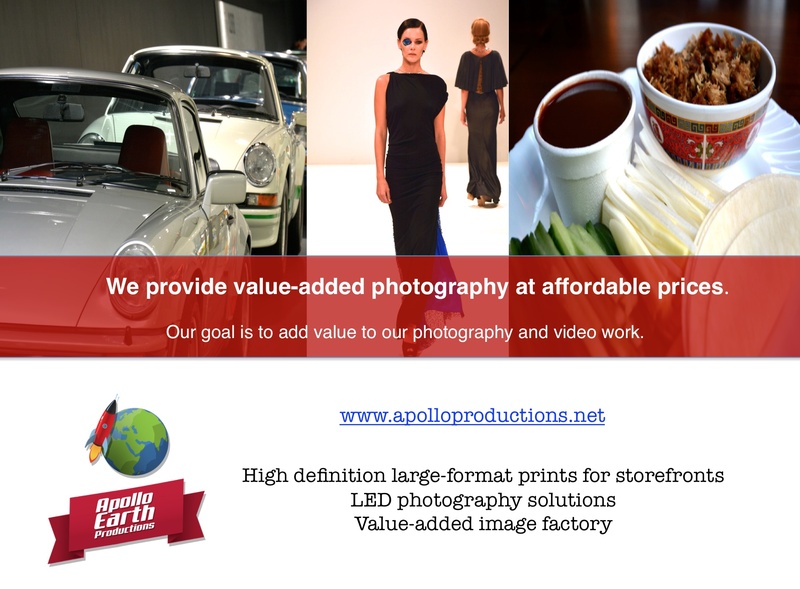 Apollo Earth Productions is for everyone. We craft bespoke video for you. Apollo Earth Productions loves to cover your event including running an experienced TV anchor with interviews. We begin recording from the pre-production scenes and cover your event under an artistic and cinematic direction.